"New Players, New Models" panel session during RSS 2018. Washington – The sixth annual Revenue Strategy Summit brought together technology innovators and hospitality industry leaders, including brand executives and asset managers, to examine the challenges hotels face in maintaining rate growth and managing a distribution landscape that gets more complicated by the day. 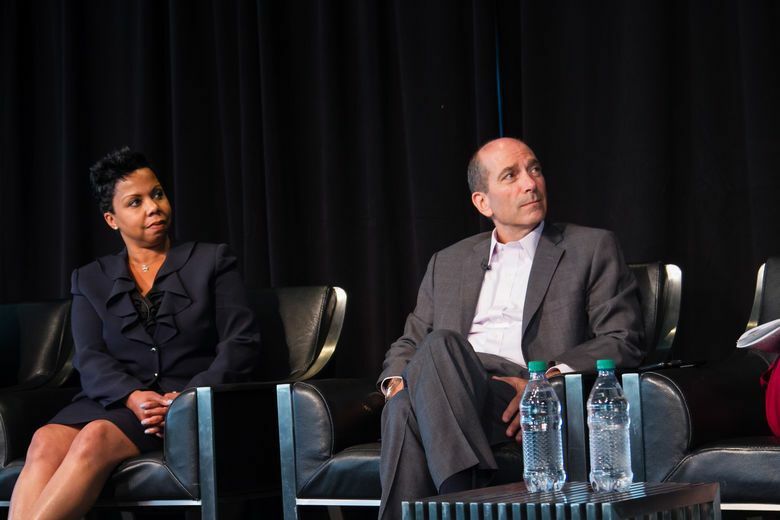 The one-day conference, held at the Knight Conference Center at the Newseum in Washington, D.C., combined hotelier-led panel discussions with keynote presentations on voice-activated digital assistants like Amazon's Alexa, blockchain's potential to improve hotel loyalty, and Wall Street investors' sentiment toward the travel industry. "It's gratifying to see RSS continue to grow in its sixth year," said Patrick Bosworth, Co-Founder and CEO of Duetto, which co-hosts RSS with Kalibri Labs LLC and Silver Hospitality Group. "The hoteliers who joined us for RSS recognized that they're competing with online travel agencies and newer digital disruptors to create more value for travelers. The companies that can achieve this earlier in an evolving customer journey will see continued success." Cindy Estis Green, Co-Founder and CEO of Kalibri Labs, added: "Revenue Strategy is not just the way of the future for hotels — it's needed in the present, as the digital marketplace that has come to dominate hotel bookings only gets more complex. There are few events like RSS focused on the needs of revenue strategists, who must keep abreast of emerging technologies while remaining proficient in the blocking and tackling needed to target and deliver profit contribution and improve asset values." A prevailing theme several hoteliers brought up during their presentations was the need for what one panelist called "revenue leadership," added Stacy Silver, President of Silver Hospitality Group. "The important point our colleagues heard over and over this year is an effective revenue strategy has to start with investments in our people," Silver said. "To that end, we will always strive to make RSS the conference where current and future leaders can learn from each other and guide our industry through whatever challenges or opportunities come next."